Ramps (or wild leeks as they are sometimes called) can be found in forested areas across most of the United States and southern Canada and are a traditional North American wild food. Finding wild ramps is easy once the foragers knows what the leaves look like. Because nothing else smells like ramps, there is no danger of picking the wrong plant. Determine when ramps are ready to pick in your area. Ramps are an early spring plant that are ready at about the same time as morel mushrooms. Ramps will be ready to harvest by April in most parts of the country, but in the south they will be ready in March. Find your search location. Ramps like forested areas that are shady and sandy, often near rivers and streams. They frequently grow on the north side of embankments in small clumps. Once you have located a likely target area, mark it on a waterproof map that you will take with you, so that you don't accidentally wander outside of the area and become lost. Gather your supplies. You will need at a minimum a basket to carry the harvested ramps and a trowel to gently dig and separate them. For a long ramp hunt, it is a good idea to take along snacks and cold water to keep hydrated and stave off hunger. Make a positive identification. Ramps look very much like lily-of-the-valley from the ground up, but underground, they look like spring onions. Break off a piece of the leaf and you will smell a strong scent of onions and garlic. Once you have found ramps, use the trowel to gently lift them from the soil. Don't take more than half of each clump so that they can continue to thrive in that location. Place them gently in the basket. Knock off any clumps of soil around the base but to not cut or wash under water until ready to use. Use the ramps quickly. 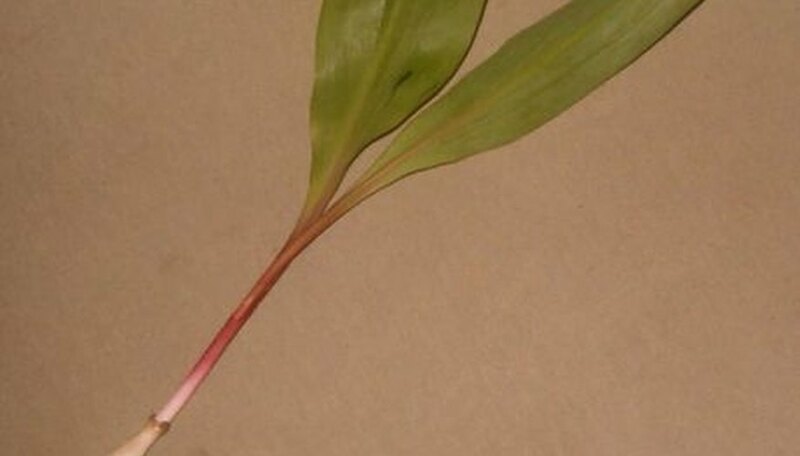 Ramp leaves will last in the refrigerator for 3 to 4 days before starting to wilt. The entire ramp plant is edible. The leaves produce a more mild onion/garlic flavor than the bulb. A traditional dish is cubed potatoes fried with bacon fat and wild ramps. Ramps can also be used anywhere onions and garlic are but in moderation--they are significantly stronger than their cultivated counterparts.